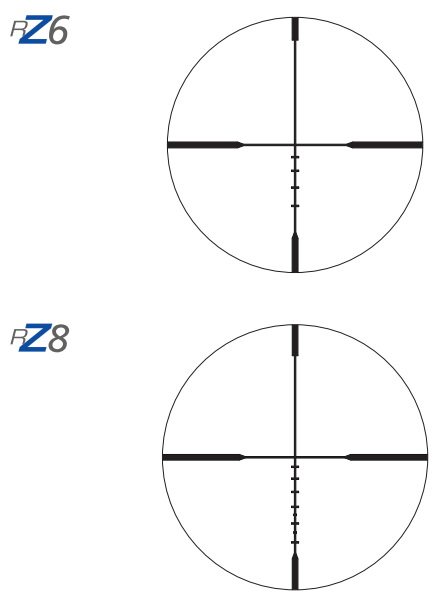 Zeiss RZ is ballistic reticles that has bars on the lower vertical line for bullet drop compensation. There are two reticles: RZ6 and RZ8. The RZ6 reticle feature hold over points out to 600 yards, while RZ8 allows you to compensate for bullet drop out to 800 yards. Zeiss Reticle 4 is classic German # 4 reticle. 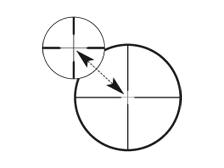 It is combination of thin crosshair and three posts: one at the bottom and two from both sides. This reticle is popular in Europe. 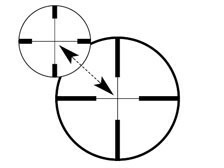 Reticle # 4 allows quick aiming due to its heavy posts so it is good in dynamic situations. Thin crosshair allows to aim precisely if you have a time. Today I want to share with you a great video on How to Mount a Rifle Scope. This video was recorded by Tim O’Connor Leupold and Steven’s product line manager. Tim will take you through entire process of rifle scope mounting, will give you tips on proper torque, aliment of the mounting ring and the rifle scope. You’ll learn how to set the rifle scope on proper place for correct eye relief and how to adjust the reticle so it is straight up and down. In the second part of this video Tim teaches you how to find a mechanical zero of the scope and how to bore sight your rifle scope after you’ve done mounting. You’ll learn one-shot sight-in method as well. I found this video most right to the point and most useful than other videos about the rifle scope mounting. A lot of people ask me what is parallax in rifle scope and how it will effect the shooting. This effect can cause the shifting of the point of impact at long ranges and can make your apparent group size a lot larger. It is simple to understand, but not that simple to explain without live example. Today I want to share with you a best video that I found about rifle scope parallax. This video is just 2 minutes long and you’ll witness parallax effect yourself.